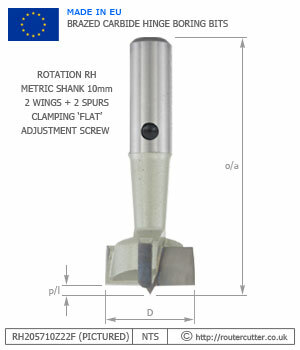 Made in the EU, to EU specification. 10mm Metric shank with flat on shank for clamping. 2 Wing + 2 Spur. 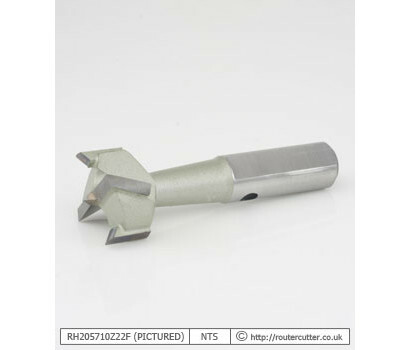 Harder carbide / sub-micro grain carbide for higher resistance to abrasive materials. 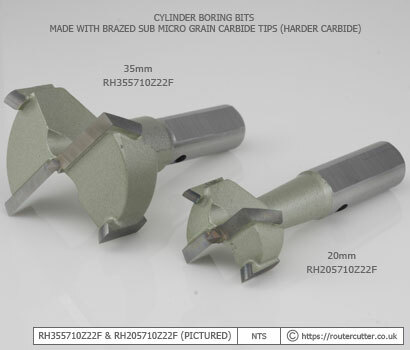 For cylinder boring, pot hinge cabinet hinge installations. Suitable for coated boards like MDF and Chipboard. Not for high RPM routers.